Provide comfort for the family of Pauline Arsenault with a meaningful gesture of sympathy. Millinocket – Pauline E. Arsenault, 86, passed away Friday, March 15, 2019. She was born January 2, 1933 in Mexico, Maine, the daughter of Leonard and Julia (Russell) Lemay. Pauline grew up in Mexico and was a graduate of Mexico High School, class of 1951. Pauline married Joseph G. Arsenault on November 12, 1955 at St. Theresa’s Catholic Church in Mexico. Pauline and Joe loved to travel, embarking on two trips across this wonderful country where they visited many places and landmarks. Their most favorite destination was Prince Edward Island and Hadley’s Point in Bar Harbor. Pauline was employed by the Great Northern Paper Company Woodland’s Department cleaning offices at night for several years. Pauline was active in the Millinocket Players as well, and was a communicant of Christ the Divine Mercy Parish, St. Martin of Tours Catholic Church. She is survived by her husband of 63 years, Joseph Arsenault; three sons, Stephen Arsenault and his wife Lisa, Lenny Arsenault and his wife Tina, and Joey Arsenault and his wife Lori; grandchildren, Anthony, Hilary, Tyler, Alisha, and Joseph; great grandchildren, Camille Rose and Everett James; a sister, Evelyn Averill; and several nieces, nephews, and cousins. Pauline will also be missed by special friends Willy and Noella Mills. 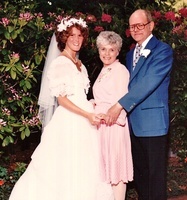 In addition to her parents, she was predeceased by siblings, Lorraine Buckingham, Leonard Lemay, Jr., and Jean Knowles. The family would like to extend a special thank you to the staff at Orono Commons for the wonderful care given to Pauline. Friends are invited to visit with the family 6-8 P.M. Thursday, March 21 at the Lamson Funeral Home, 11 Tamarack Street, Millinocket. A Mass of Christian Burial will be celebrated 10 A.M. Friday, March 22 at Christ the Divine Mercy Parish, St. Martin of Tours Catholic Church, 19 Colby Street, Millinocket with the Rev. Bruce Siket, pastor, presider. Spring interment will be at the Millinocket Cemetery. Gifts in memory of Pauline may be sent to the Katahdin Area Support Group, P.O. Box 374, Millinocket, ME 04462. 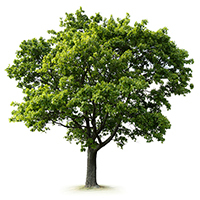 To plant a memorial tree in honor of Pauline E. Arsenault (Lemay), please visit our Heartfelt Sympathies Store. In loving memory of my wonderful Aunt/Godmother Pauline Arsenault. All who wait for you in heaven are rejoicing. Those of us here on earth will be reunited with you again when it is our time to meet our Heavenly Father. Joe, We are sorry for the loss of Pauline and for the sorrow it causes you and your family. Pauline was a nice person and will be missed.